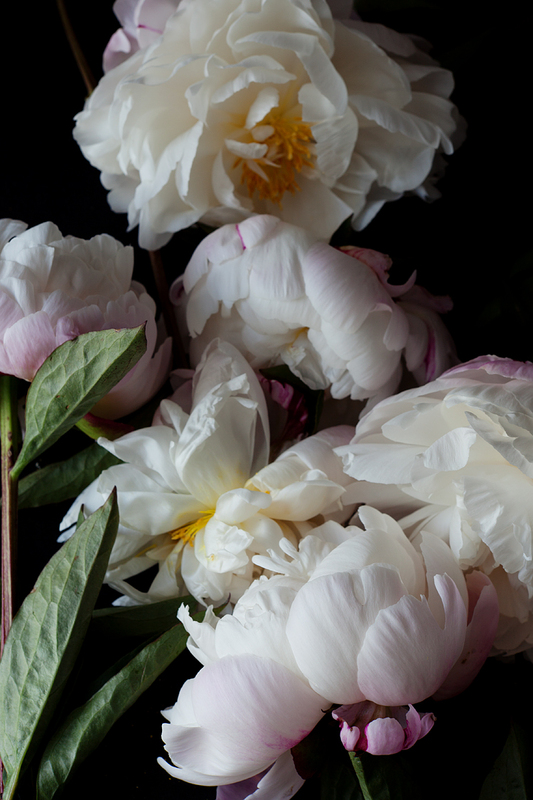 I am so thrilled to have peonies this late in the season that I had to do (yet another) post dedicated to their beauty. Inspired by the stunning "natura morta" section in Gentl and Hyers' portfolio, though I am not even at the tip of the iceberg in manipulating light like they do. 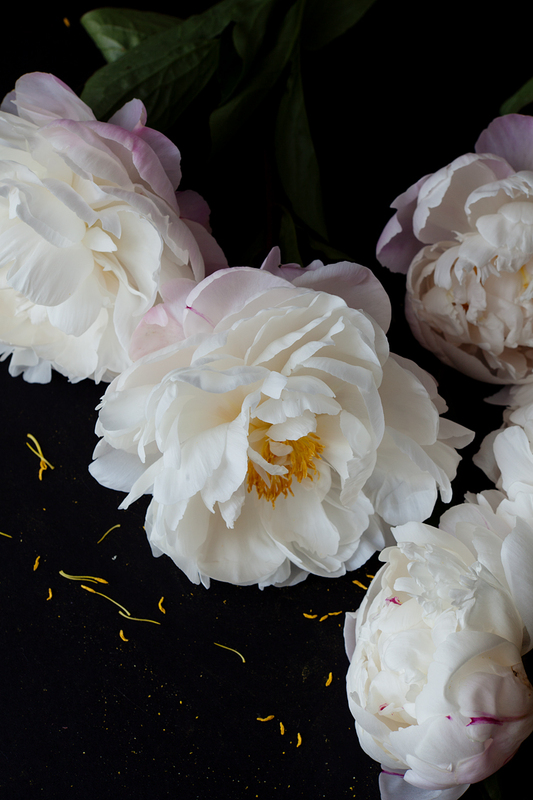 Let's just admire these peonies. The petals are so luminous in that 2nd photo. There is great "natura morta"-like light under the stone bridges of Central Park when the sun is high. Alice, these are stunning!!!! My fave part is your label, though... "naturey crap" aahahahaha! These photos are just incredible. Just when I thought I couldn't love peonies any more.. I often have trouble photographing colors that contrast greatly. I love how you portray the intricate details and fragility of the petals. Wish I could buy more peonies but they're way overpriced here. Yay peonies!! Love them against that black background! 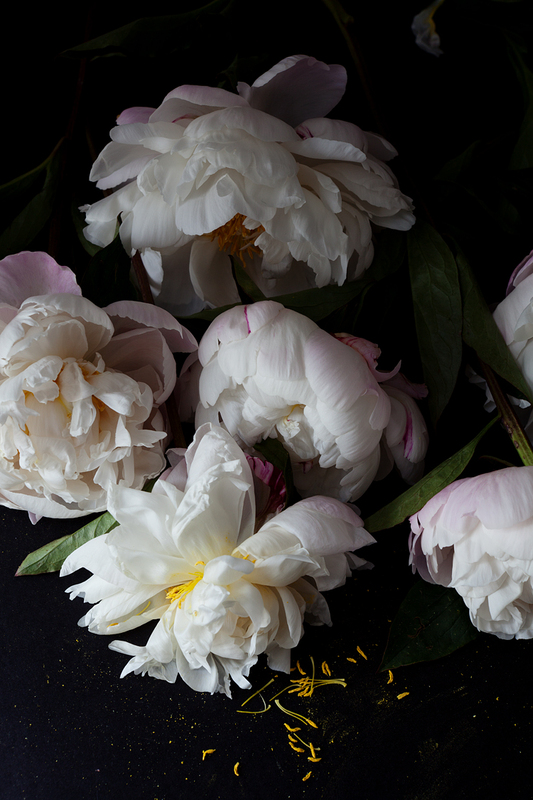 there's NOTHING like peonies. these are gorgeous! beautiful, especially that second shot! The black background adds such drama to the photos...great work!